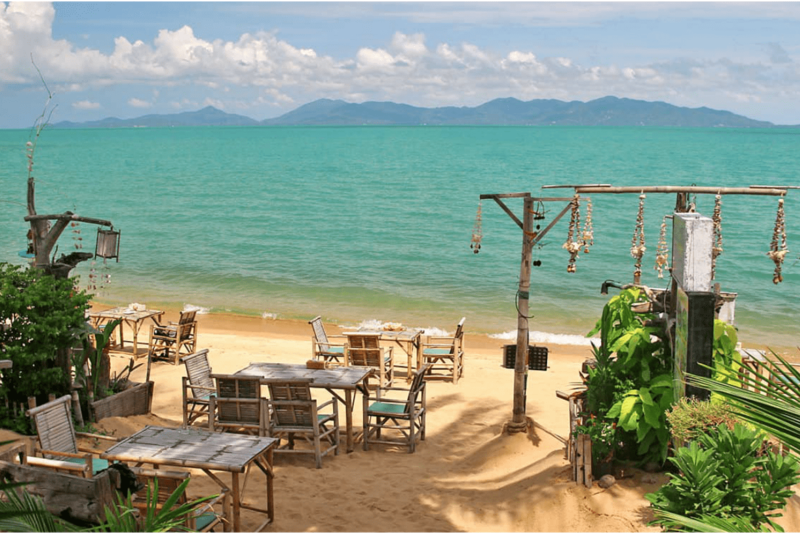 Maenam Beach is one of our favorite beaches in Koh Samui because of its tranquility and natural, real local feel. 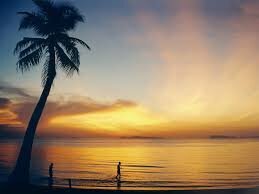 It's one of the longest Koh Samui beaches, situated on the north coast. Maenam beach is free of hotels and restaurants overcrowding. Here you can find accommodation for every budget and walking along the beach, you will also find local beach bars that serve amazing food and happy hour cocktails. Oh!, and did I mention you get to enjoy some stunning views across to Koh Phangan?. This beach may not have the softest sand or the clearest water, but visitors love it because of the relaxed, tropical feel. It's also great for families with kids as the water is warm and not very deep. The most children friendly area in Maenam beach located at Silent Beach. Ssssshh...Coral Cove Beach is a favorite among Koh Samui beaches and this is because it is not very well known... Here you can find a calm and quiet slice of paradise. 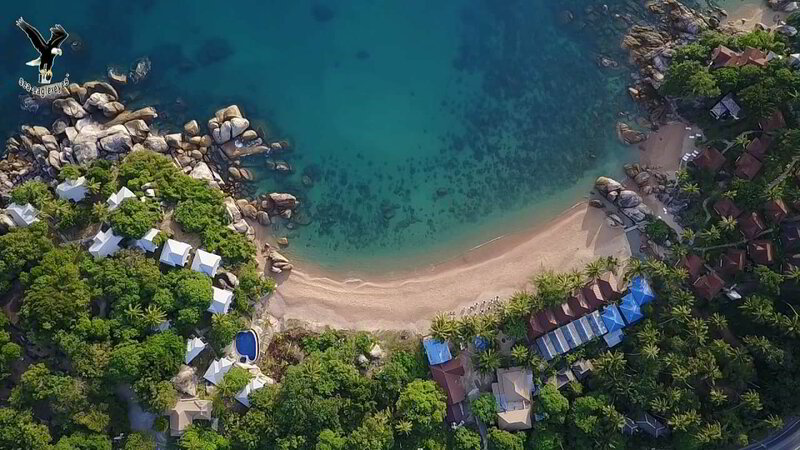 Located on the east coast between Chaweng and Lamai, this beach is roughly 200 meters in length, but you will find more space Coral Cove than in the busier Chaweng Beach. 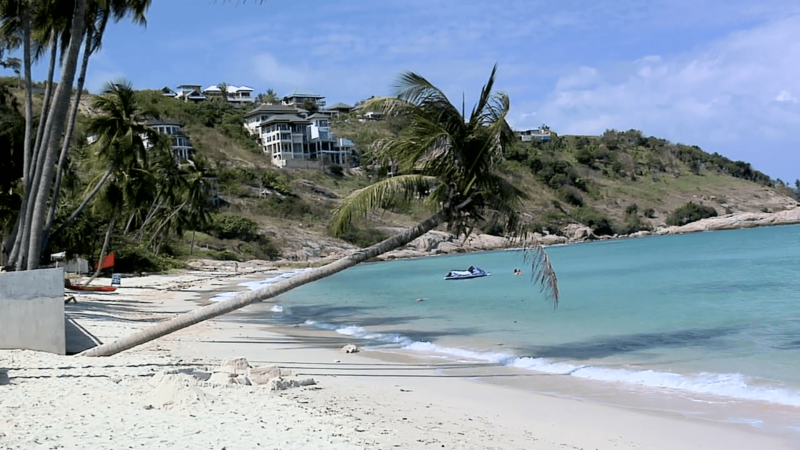 An unspoiled sandy beach and crystal clear water, fantastic for swimming and snorkeling. Careful stepping in as there are some smooth rocks to walk around as you go in but clear after that. Kids will enjoy spotting the tropical fishes in the shallow waters. You can access Coral Cove Beach through a resort, however, the beach is public so everyone can use it (no matter what you read on the sign 😉). Thongson Bay Beach is a “secret” gem in Koh Samui; maybe not so secret anymore, but definitely less busy than other beaches on the island. One of the reasons for this quietness is the location. Thongson Bay Beach is not easy to find if you don't know where you are going. Once you get there, you will enjoy a beautiful white sandy beach and crystal clear, shallow water. Thongson Bay beach is perfect for small kids; it is only about half a kilometer long and it never gets crowded. So, next time you are in Koh Samui, we recommend you visit this calm and peaceful beach with a picture perfect view. How to get there? : Follow the road from Bangrak to Choengmon, you will see on your left hand side a sign directing you to Melati Resort. Turn left, following Melati Resort and once you get to the gates, turn right towards Thongson Bay Bungalows. Keep the secret safe! Choeng Mon Beach is a fantastic option when travelling with kids. The beach is located on the northeastern tip of the island, here you will find lovely fine sand, clear warm waters, ambience but not too busy. It is a beautiful bay so the water is not too deep or too shallow, just perfect for kids to swim; There are many kid-friendly hotels around and plenty of restaurant choices for those hungry tummies after a fun day at the beach. If you spend Wednesday afternoon at this beach, you can stay at Choeng Mon Night Market for the evening. Lipa Noi Beach- We love this beach because it’s far from the hustle and bustle of Koh Samui, it’s beautiful with fine white sand and clear blue water. A great beach for kids, with a local feel compared to others in Koh Samui located in more touristy areas like Bophut Beach. Plus, on this part of the island, the west coast, you get to experience some of the most breathtaking sunsets in Koh Samui. Don't miss Lipa Noi Beach if you are on the West coast of Koh Samui next to the popular Nikki Beach Club, between Nathon and Taling Ngam! There are more family friendly Koh Samui beaches we decided to skip on this blog post because they are either far from facilities or a bit too crowded at times. A recommended mention would be Crystal Bay as well known as Silver Beach with shallow waters and fine sand, but a bit too crowded during high season. Better to go to Silver Beach off-season. Ban Tai Beach is another runner up. Ban Tai Beach is really nice, quiet and wild, but a bit far from restaurants and facilities. Keep an eye on our coming guides with more Koh Samui beaches reviews and other hidden secrets! Let us know in the comments what you think about our blog post. If you want us to write about a specific subject about Thailand, Travelling or Southeast Asia, let us know too :-).